Go Travel BCD – Comfortable, easy to pack and extremely lightweight at under 6lbs! 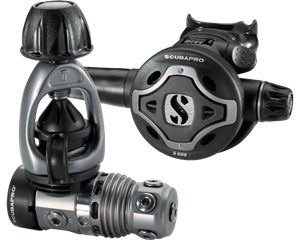 This weight-integrated BCD is loaded with the quality and style divers have come to expect from SCUBAPRO. Perfect for the traveling diver! Go dive the world. That’s our message with this true travel BC. 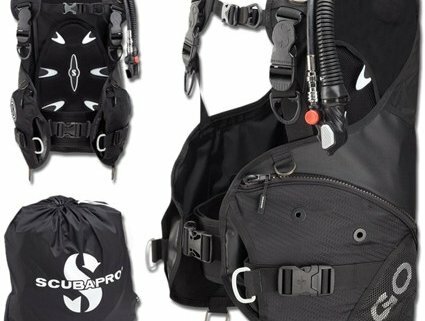 Lightweight, easy to pack and extremely comfortable, it includes an integrated weight system and other original features, as well as SCUBAPRO quality, style and spirit of adventure. The large size weighs less than 2,7 kg / 6 lbs. Don’t be caught in the dark! 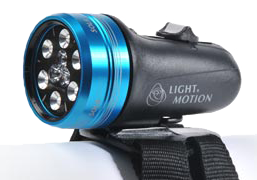 See more with a compact LED Dive Light. Amazingly bright compact LED anodized aluminum lights. Compact enough to fit in your BCD pocket. 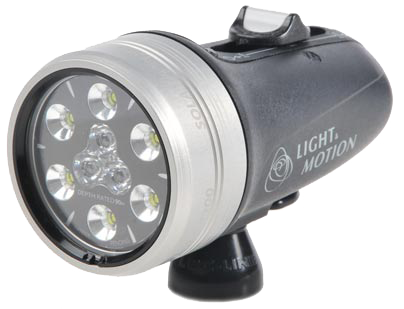 Rugged, yet streamlined and lightweight, these lights are ideal for traveling divers. Some models powered by just three AAA cells with 3 power modes and a run time up to 420 minutes. 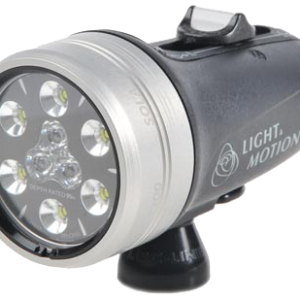 A dive light is one of the most valuable companions to divers, it’s how we enhance our deep-sea vision! https://www.recdiving.com/wp-content/uploads/2014/01/imagefly.aspx_.jpg 106 106 Diane Richards https://www.recdiving.com/wp-content/uploads/2017/09/RecDiving_logo.jpg Diane Richards2013-12-21 18:34:162017-09-20 05:50:15Don't be caught in the dark! 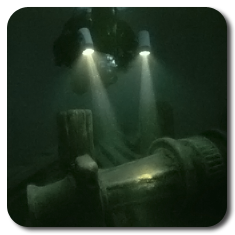 See more with a compact LED Dive Light. The new CHROMIS wrist computer is ready for your next adventure, in or out of the water. Reaching a new level of clarity, the large display and Katana-sharp characters are proven to be exceptionally readable under water. You’ll have a host of tools at your fingertips, including a full-featured dive computer, timepiece, and patented lap counter. A perfect holiday gift price of $499! How Easy does your Wetsuit go on? Flex Wetsuits are now the rage for all diving and snorkeling adventures. Flexible 3mm or 5mm neoprene full length suits. These suits are durable, super stretchy, and ultra-comfortable. Most important, they go on easier than ever! That means no more pulling, twisting, grunting and tugging to get your wetsuit on! You pull these wetsuits on effortlessly and they mold right to your body. What’s more, you can freely bend and move in ultra-comfortable flexible wetsuits, even before you jump in the water. Full wetsuits available in 3mm and 5mm. Check out our entire selection at Rec Diving! https://www.recdiving.com/wp-content/uploads/2014/01/thumb.php_-e1452875890845.jpg 300 150 Diane Richards https://www.recdiving.com/wp-content/uploads/2017/09/RecDiving_logo.jpg Diane Richards2013-12-19 18:50:142017-09-20 05:50:56How Easy does your Wetsuit go on? These comfortable mask and snorkel kits are specially crafted for divers and snorkelers who want a wide field of view combined with a low volume design. Snorkels feature hyper-dry and full-dry top technology. Available in a range of styles and a rainbow of super fun colors. Specially sized for adults and children. There is no better gift than time spent with friends and family sharing an adventure. Make a memory. Get up close and personal with the beauty of the sea on a custom adventure or join one of our group getaways. We make it easy. Just show up and let the fun begin! Here are our favorites for the coming year. If you like what you see, contact us to secure space. Every year these trips are all first-come-first-served. Sign up before they fill up! If our group date doesn’t quite work for your schedule, contact us. 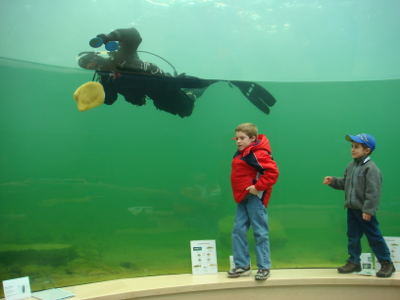 Our specialty is creating the perfect adventure just for you! Come check these beauties out for yourself at Rec Diving. Just what makes the Seawing Nova so special? Here is a closer look at the magic behind this spectacular fin. Replacing the gradual curve of a traditional fin, the Seawing Nova has an articulated joint (like the tail joint of a dolphin) which allows the blade to pivot. 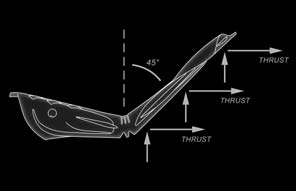 The entire blade is now able to generate thrust; there is less drag, no wasted thrust. With traditional paddle fins, the harder you kick, the more the blade bends. The result is that soft fins achieve the ideal 45° angle when kicked gently, but over-bend and lose thrust when kicked hard. 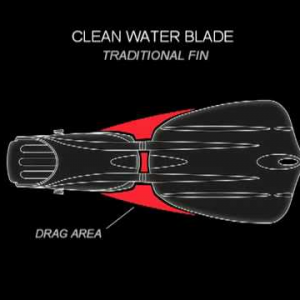 Stiff fins achieve the 45° angle when kicked hard but remain too flat and therefore inefficient when kicked gently. Both require compromise. The Seawing Nova uses Pivot Control Technology to ensure that the most efficient angle of attack is maintained across all strengths of kick. No compromise needed. The unmovable section between the foot pocket and the blade of a traditional fin generates excess drag. On the Seawing Nova, it simply isn’t there— which means that water is free to flow cleanly onto the working section of the blade. Drag is reduced, and thrust is increased. As you kick harder, the Seawing Nova’s wing-tips arc upward, increasing high-speed stability and reducing drag. The Seawing Nova features a super-ergonomic foot pocket that is exceptionally comfortable. The rigid Power Plate footplate extends to the back of the heel and ensures ultimate power transmission with less leg strain. The fin can be easily secured on, or pulled off with the marine quality bungee heel strap. No more work to tighten your fins when you’re getting ready or finding the clips to unbuckle them as you exit. Just a quick pull with your index finger and the heel strap is out of the way. The space-age Monprene® elastomer provides superior technical characteristics and makes the Seawing Nova incredibly lightweight and durable. How much weight do they save? 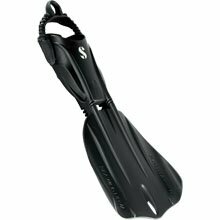 Seawing Novas come in about 1/2 the weight of other performance fins! With all of these great features working in concert you can’t help but to be impressed with the power these fins produce with so little effort. Stop in at Rec Diving today to take a look at the next generation in performance fin design. Since their release, these little powerhouses have been one of the most talked about items at Rec Diving. People love the Solas because they are lightweight and compact, but sometimes folks shy away from these beauties when they look at the price compared to other LED lights. While they might cost a little more at the register, we have seen over and over again that they actually save you in the long run. What makes a great regulator? 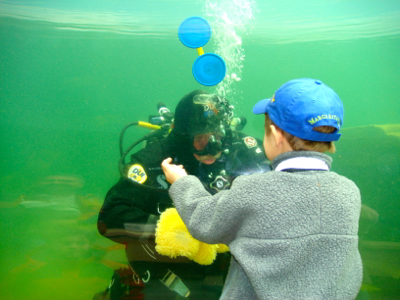 The difference between a “good” regulator and a “great” regulator can make or break the enjoyment of any dive experience. Comfort, reliability, and high performance are the most important attributes that a regulator should exhibit. Every great regulator should make breathing effortless. Air should be delivered easily and consistently, on demand, and in the quantities required. And through technology and design, your regulator must be completely reliable. 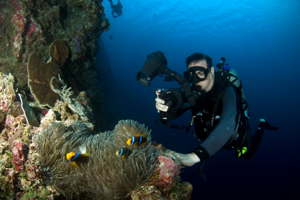 At Rec Diving, we’ve got a great selection of regulators to choose from. 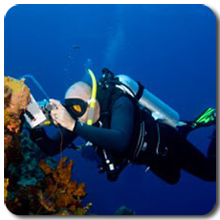 Whatever your dive destination, our equipment specialists at Rec Diving are happy to help you select the regulator that best suits your diving needs and desires. What’s even better? A great breathing regulator doesn’t have to break your bank. Ask us about high performance in a system that is lightweight and affordable and starting at just $250.00. Come in and check them out. 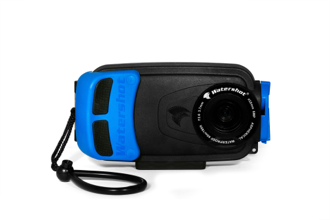 Smart Phone Underwater Camera Housing – the season’s big seller! This is the must have for your iPhone or Droid before your next diving or snorkeling adventure. Now you can take photos and video underwater with your smart phone and then post and tweet during the boat ride back to your resort! This professional underwater housing designed by Watershot is built to live in the water and withstand rocks, reefs, salt, sand and extreme pressure. his is not a case for your smart phone. 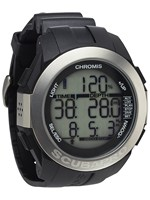 Great for any water sport activity with depth ratings ranging from 130′ to an impressive 195′. It’s as easy as using your smartphone. Just download the free Watershot App from the App Store and iTunes. Shoot photos or videos and quickly share to Facebook, Twitter, Instagram, etc. Available accessories include wide angle lenses, colored filters, lights and tray sets. Also works with many of the GoPro mounting options.So if you have an iPhone 4 or 5, or a Galaxy S3 or S4, we’ve got the underwater housing for you. Stop in and check these out. These super sturdy, compact housings are already proving to be one of the “go-to” gifts this year at Rec Diving starting at just $99.99. 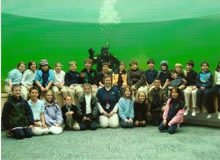 Another super fun way to share the cool stuff we see underwater! https://www.recdiving.com/wp-content/uploads/2013/12/watershot220.png 142 220 Diane Richards https://www.recdiving.com/wp-content/uploads/2017/09/RecDiving_logo.jpg Diane Richards2013-12-12 20:10:492017-09-20 05:56:46Smart Phone Underwater Camera Housing - the season's big seller!